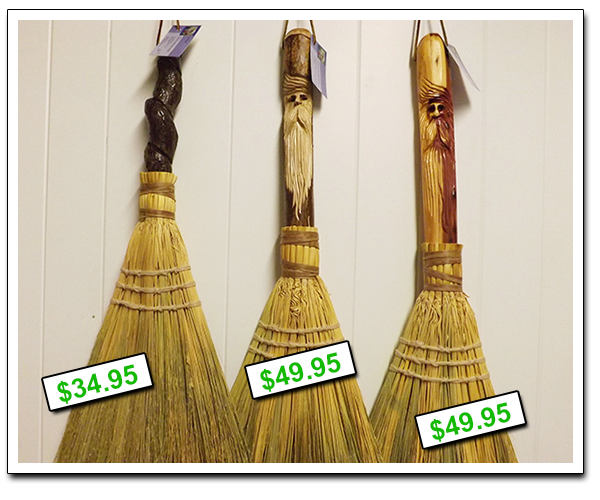 Welcome to Ogle's Broom Shop, Gatlinburg's 3rd Generation Broom Makers. Ogle’s Broom Shop handcrafts and sells brooms. It is located in the mountain resort city of Gatlinburg in Sevier County, Tennessee. The company has set up shop at The Great Smoky Arts And Crafts Community in The Jim Gray Gallery. 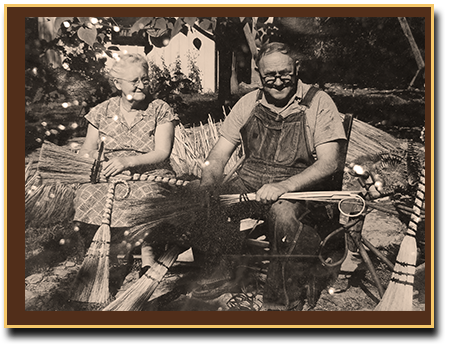 The shop's current owners, David and Tammie Ogle, are the third generation of broom makers to operate the store. David has been making brooms since he was 13! To see this couple at work carrying on the family tradition, be sure to visit their shop on Glades Road. Here you will see craftsmanship at its best using simple tools and skillful hands. Brooms are the flagship products of Ogle’s Broom Shop. They are handmade brooms which can be customized. They can also have intricate handle carvings. 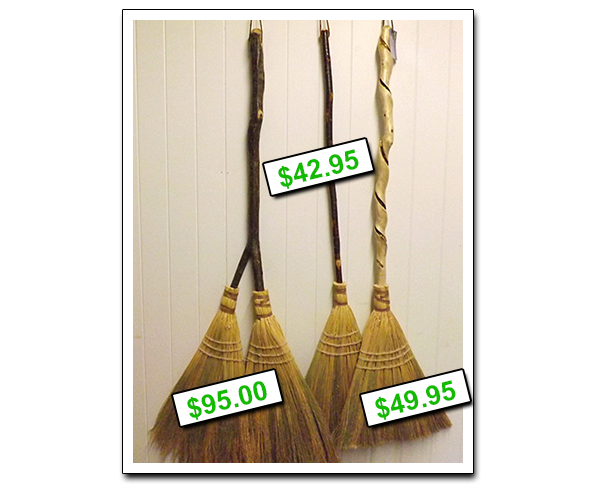 The shop’s most sought after brooms are straight-handled broom and the honeysuckle-handled broom. 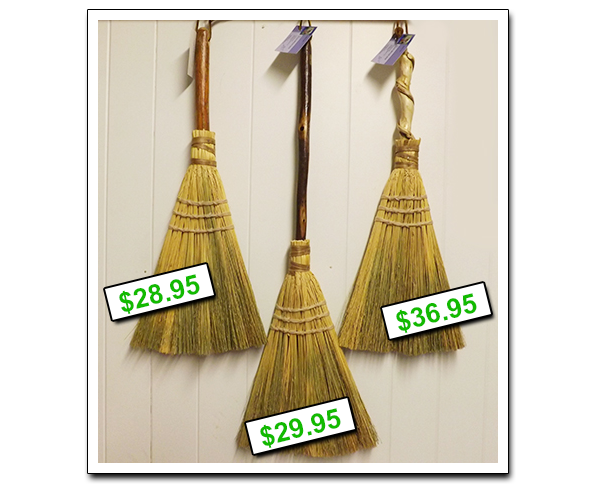 If you love brooms and are a collector of decorative brooms, then we are your destination!